The black and orange tortoiseshell cat was born on March 13, 1988, in San Diego. Tiffany Two, the world's oldest cat, died in her sleep on May 22 at 27 years, two months and 9 days old, her owner said. "She spent her last days laying either on the deck or down in the yard," owner Sharron Voorhees told ABC News. "She used to sleep right next to me every night. But in recent months she slept in the middle of the staircase, or, most recently, she had taken up residence on the dog's huge pillow-bed in the living room. But that night she slept next to me on her heated pad. And that is where she passed." "I feel okay about everything," she added. "I did have a long time with her and I feel the end was as perfect as it can be without morbidity. She just loved me to pieces and was clearly devoted to me." 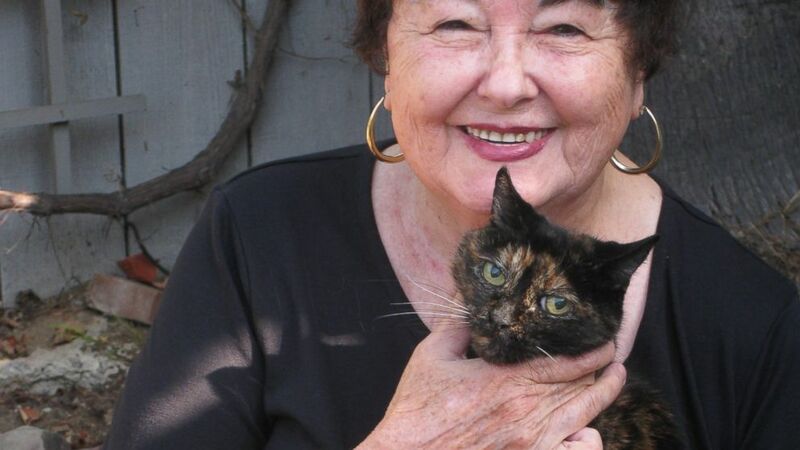 (Courtesy Guinness World Records) Tiffany Two, recognized by Guinness as the world's oldest living cat at 27 years old, is held by her owner, Sharon Voorhees, in an undated handout photo. Tiffany, a black and orange tortoiseshell, was born on March 13, 1988, in San Diego, California, and Voorhees bought her from a local pet shop for $10 as a 6-week-old kitten. The name, Tiffany Two, was carried over from Voorhees' first cat, Tiffany One, also a tortoiseshell, who died in the 1970's. Tiffany Two was crowned the oldest living cat by the Guinness Book of World Records in October 2014, just seven months before her passing. While Tiffany Two lived an incredibly long life, she was still a few years shy of the record for the oldest cat ever, set by Cream Puff the cat from Austin, Texas, who was born on Aug. 3, 1967, and lived until the age of 38 years and three days. Since Tiffany is no longer with us, it is currently unknown which kitty holds the new world record for the oldest living cat. "Guinness World Records is saddened to hear that Tiffany Two, the holder of oldest cat living record, has passed away in her sleep at the age of 27 years 2 months 20 days," a representative from Guinness told ABC News today in a statement. "We are currently investigating and verifying the potential successors for the oldest living cat title and will announce this once we’re in a position to do so. We welcome applications for this title on our website, www.guinnessworldrecords.com."